Suspicious hissing package falls from sky too close for comfort to President Trump. A suspicious white package attached to a red parachute fell from the sky and onto a solar panel field in South Brunswick, New Jersey on Tuesday. 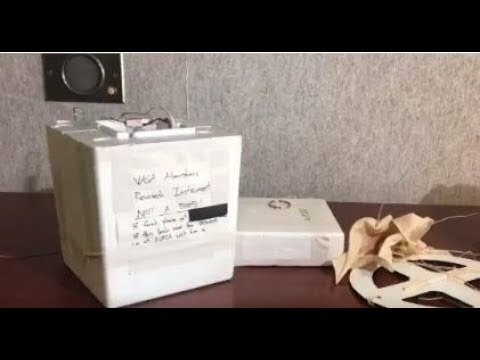 It turns out the package, which contained a note about President Donald Trump, was a weather monitoring device launched by NASA. The device made a hissing sound but was not a bomb, said South Brunswick Police. Another similar device had landed in NJ in recent days. The President had been staying at his golf course in Bedminster, approximately 30 miles away. “Investigators determined the item was 1 of 6 released on Sunday from the New Brunswick area by NASA scientist. These devices will come down after a period of time at random locations,” said police.